Visit Zenfolio online at ZenZenfolio.com where they believe that a beautiful photograph requires an equally impressive viewing experience. Zenfolio's site was designed to provide the ultimate in function and service, giving photographers the opportunity to turn their passion into a business. ZenFolio's unique organizational tools, easy-to-use E-commerce platform and customizable displays let you store, sell and show your photos in the best possible light. Save money with Zenfolio discounts, Zenfolio coupons and Zenfolio savings found here on 58Coupons.com. Use code to save $10 on your Zenfolio order. Click to view code. Act now and you can save $5 off your new account from Zenfolio.com with this code. Click link to see code and save. Zenfolio.com is now offering a Free Trial. Click link to start yours. Check out the basic plan on Zenfolio.com and you'll pay only $25 per year. Click link to start. For just $50 a year you can store unlimited photos with Zenfolio.com. Click link for more details. 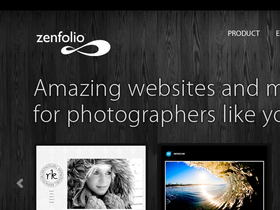 Check out Zenfolio.com and you can find elegantly designed, ad-free pages.